This sweet strawberry and flower Kitty checked design features a cute embroidered Kitty. This bag is both sturdy and spacious and has a handy across the body adjustable strap. At the front of the bag is a useful compartment for easy and accessible storage. 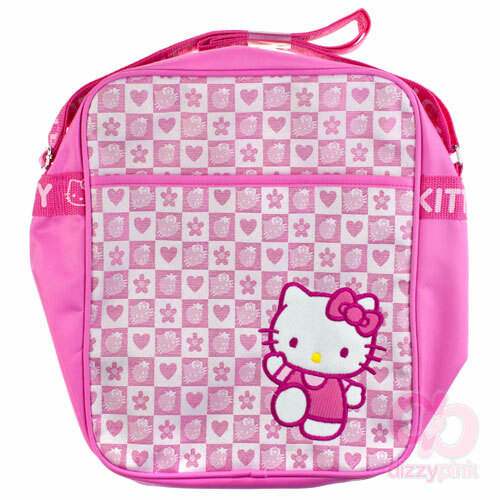 The bag is kept secure by a sturdy zip and the inside is fully lined with an extra zippable storage compartment. With other bags in the range why not add this one to your collection today! (H) 30 x (W) 27 x (D) 3cm.